Inspired by shaped stones that simply rest and support each other to form the structure of a bridge, three shelves are individual shapes that support each other in spanning the alcove space. 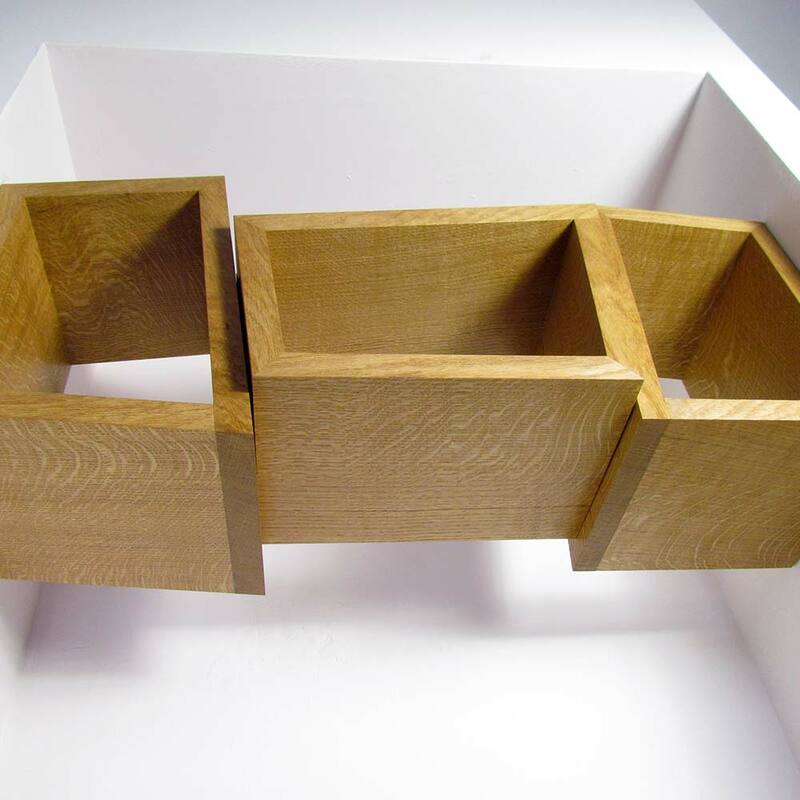 Made from wild Irish oak their independent shapes rest against and support each other as family might. Dimensions (each - approx): height 39cm, width 28cm, depth 25cm. Limited edition no. 2 now available. Each set of shelves is made especially to order and needs to be sized and shaped according to the particular alcove. Please contact Colin to discuss these custom requirements and expected delivery times.